Dubai: Emirates looks set to deploy part of its Airbus A380 fleet into India following the removal of a ban restricting the aircraft from flying into the country. The decision to allow airlines to fly the double decker superjumbo to India was announced in a statement on Monday by Ajit Singh, India’s Union Minister for Civil Aviation. But Emirates won’t be adding capacity to the route anytime soon as the A380 services will be subject to traffic entitlements within bilateral agreements. “Emirates is at the threshold. So with this decision, [it] can’t simply up[grade] existing flights to the A380. It will have to move capacity around,” Will Horton, senior analyst at CAPA — Centre for Aviation, told Gulf News in an e-mail. Nonetheless, Emirates, which has the largest A380 fleet, welcomed the decision. “We will be reviewing our existing operations and look forward to serving Indian travellers with our flagship aircraft in the near future,” an Emirates spokesperson told Gulf News in an e-mailed statement. Emirates has wanted to operate its A380 fleet into the underserved market and in 2010 flew a one-off 517-seat A380 to India, celebrating 25 years of operations in the country. 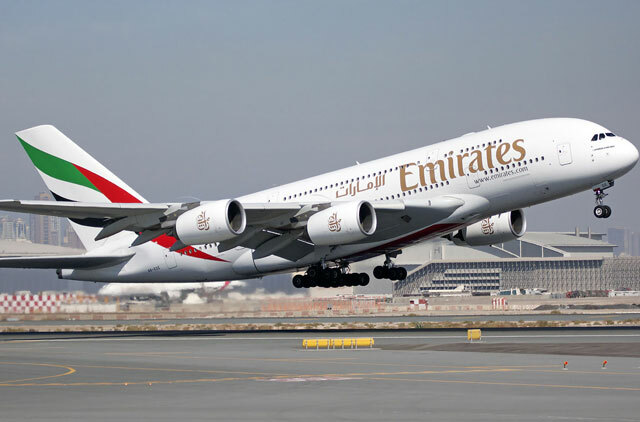 John Strickland, director at UK-based aviation firm JLS Consulting, told Gulf News via e-mail that the removal of the A380 ban is beneficial for Emirates. “The Indian market is growing strongly and at peak times, airlines cannot provide enough seats. So, being able to use the A380 will be welcomed by Emirates,” he said. But with only four Indian airports, Delhi, Mumbai, Hyderabad and Bengaluru, currently capable of handling the A380, Emirates will not be able to choose where it deploys its fleet. “Any decision to deploy an A380 on our network is dependent on passenger demand on that particular route as well as the ability of airports to handle the aircraft,” the Emirates spokesperson added. Amber Dubey, partner and head-aerospace and defence at global consultancy KPMG, told Gulf News via e-mail that the Indian government’s decision to remove the A380 ban is the latest attempt to liberalise and reshape the image of the country’s aviation sector. “Its shows [the] Indian aviation market as liberal and attractive. The A380s will help bring down fares and improve the cost competitiveness of the Indian tourism sector. They will improve the efficiency and capacity utilisation at Indian airports,” he added. But Strickland said that further progress is needed to achieve a level playing field. “Other capacity restrictions still exist and loss-making Air India is supported by the government,” he said. Last year, the government opened foreign investment rules that paved the way for Abu Dhabi’s Etihad Airways to take a minority stake in Indian carrier Jet Airways.